Installing sod has many benefits. With this “instant grass” there is no waiting for seed germination and growth. You can get same-day turfgrass when you want it. Country Green Turf Farms offers weed-free sod in Lake Stevens. We go to great lengths to ensure our sod is clean of contaminants and ready to thrive. We start our sod germination by preparing the soil. Meticulous measures are taken, including fumigating the topsoil and controlling the environment around the borders of the field. We rid the soil of weed seeds, stolons, rhizomes, tubers, and other forms of plant pathogens in order to give the sod a healthy growing environment. When the grass plants are full and ready to transplant, you get strong turf in healthy topsoil. We minimize the risk of built-in threats. Not all growing environments are the same. We understand that. That is why we offer sod for everything from resilient sport and recreational use to low-sun environment. Talk to us about your needs and the environment where you want sod. 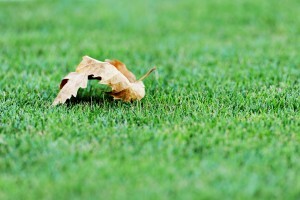 We can help you select the right grass that is most adaptable to your home, business, golf field, or other green spaces. We support you in everything you need to help your sod flourish. Specially fertilizer designed for your specific sod mixture and instruction on how to use it is part of the sod package. We give you aftercare instructions to promote the best lawn possible. You can always feel free to call us with any questions; we are happy to share our expertise. As a locally-owned family business with nearly 30 years experience going back over three generations, we know everything there is to know about sod and turfgrass. Our modest 5 acre beginning has burgeoned into more than 660 acres over the decades we have served Lake Stevens. In that time, we have offered superior service to our growing community by putting our customers first. We take pride in the quality of our products and we support our customers by answering any followup questions or other advice you need to keep your lawn growing strong and healthy. To us, this is all part of offering strong, community-based service. Over the years we have fostered the highest-quality seeds to promote long-lasting, healthy grass plants. Our sod in Lake Stevens will thrive, season after season, year after year. We also offer different sizes of sod strips, for large field coverage, or smaller yard use. 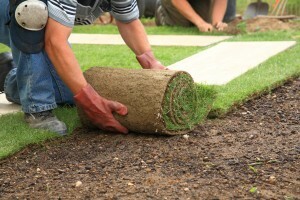 You have the option to pick up the sod or have us install it for you. Contact us today about your needs for sod in Lake Stevens or the surrounding areas. We also proudly offer hydroseeding in Lake Stevens and the surrounding communities.